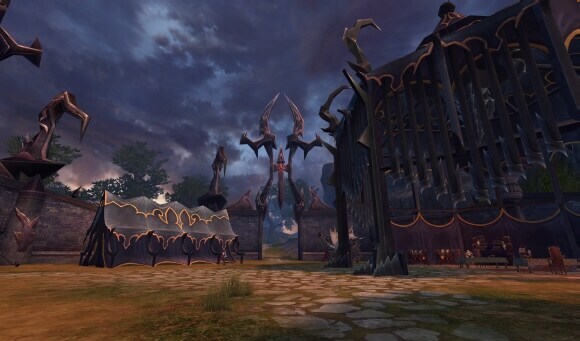 Forsaken World – Free MMORPG – The Gaze of Larex - Coming Soon! 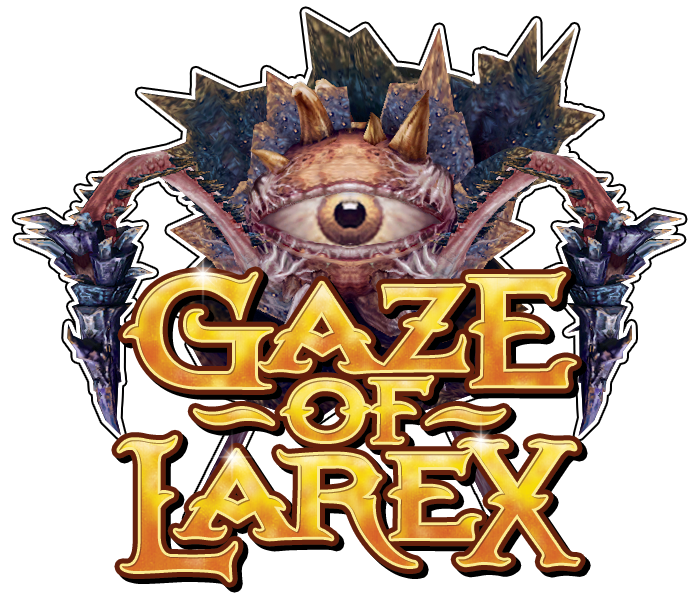 The Gaze of Larex content update is nearly here! 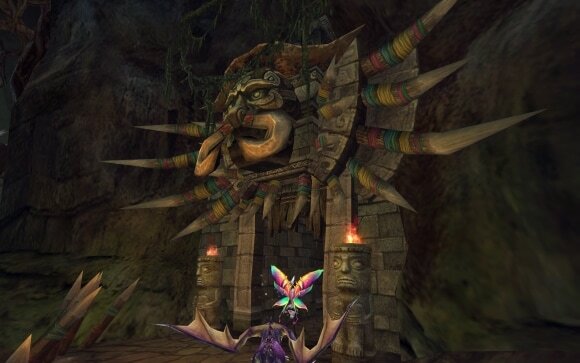 Including a new dungeon, PvP arenas, the advanced Nightmare Carnival, the marriage system, a raised level cap and more, this content update has a truckload of new stuff waiting to be discovered. Read on for all the details! Through the suffocating undergrowth of the Sleeping Jungle, the sorrowful tale of the Bruten tribe unfolds in front of the uncaring eyes of the Gods of Eyrda. Forsaken utterly - like the rest of the world - the Bruten have endured countless centuries of relentless attack by their greatest enemies, lead by the mighty Kambour. Under siege from all angles, and with defeat just over the horizon, the Bruten leadership decided to take matters into their own hands. Goutah, the supreme leader of the Bruten tribe, formed an elite squad of his mightiest warriors to execute a precision strike in an effort to decapitate the leadership of the attacking force - by slaying Kambour himself. By setting off in the dead of night, the kill-team was able to penetrate the defenses of the enemy and engage Kambour himself in open combat. A grand melee occured, with Goutah's men heavily outnumbered by kambour and his elite honor-guard. Fighting desperately, Kambour's squad managed to overcome the enemy and wound Kambour severely. Despite the mission being to slay Kambour, Goutah and his remaining warriors instead undertook a ceremony of victory - upon which they drank from the blood pouring out of Kambour's many wounds. Instantly empowered with the dark strength of Kambour's magic-infused blood, Goutah and his warriors took Kambour as a personal war-mount, cowing the mighty beast into submission. Despite the overflowing sense of strength Goutah and his warriors enjoyed, the dark magic contained in kambour's blood corrupted both their mind and body. Side effects soon began to show, with a rapid increase in aging and the onset of insanity. One after the other, Goutah's elite warriors died - and soon after, Goutah himself joined them in the afterlife. The darkest recesses of the Ancestral Catacombs became their new eternal resting ground...Until Larex's gaze fell upon the Sleeping Jungle. By detecting the powerful magic that was seeping out of the Ancestral Catacombs, Larex determined that this was the best location to set up his base of operations. Using the re-animated corpse of Goutah himself as a personal bodyguard, Larex gradually began corrupting the entire Ancestral Catacomb, as well as the Sleeping Jungle itself. A nearby encampment of elves alerted Hugh Sutherland in Freedom harbor of this, and immediate action was undertaken to end this threat. However, in a cruel twist of fate, the Bruten have fallen under the influence of Larex as well, and have turned a blind eye to his presence. Instead, the Bruten guard their catacombs with zealous fervor, wholly believing that they are defending it from attacking parties of the five races of Eyrda. The Bruten don't know that these offenses are attempting to carve out the evil inside the catacomb, and are tragically defending Larex without realizing it. Larex must be destroyed. His gaze pierces through earth and stone alike. His shadow is slowly enveloping the Sleeping Jungle, and given enough time, will stretch to all of Eyrda. It is unfortunate that the Bruten will not listen to reason, and the only option appears to be going through them - with blades and magic. Avenge the fallen. Destroy the invader. Earn back the favor of the gods. The gaze of Larex is upon you. 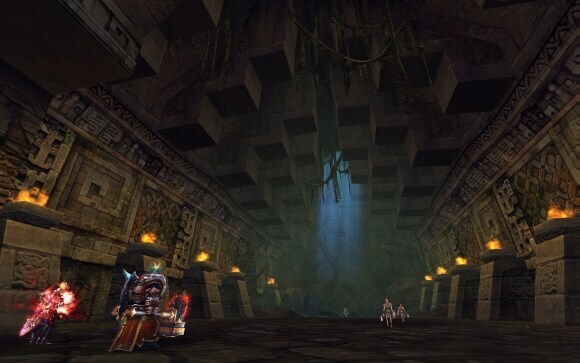 Winding underground dungeon, with bosses requiring unique strategies to slay. 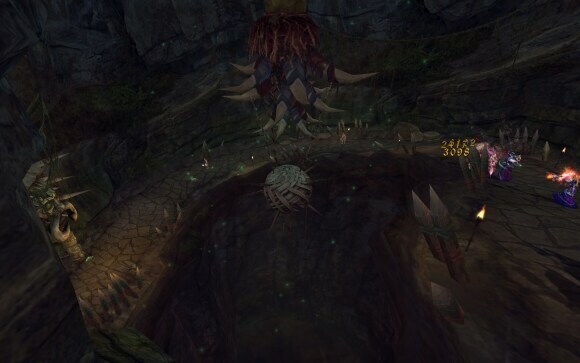 The largest, most grotesque foe players have ever faced in Forsaken World history . New levels of rewards for parties strong enough to defeat Larex. 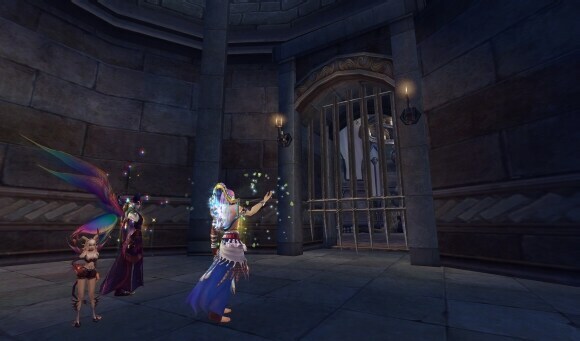 Meanwhile, the sharpening of blades and the honing of magic skills can be heard elsewhere. The sounds of preparation in Freedom Harbor are ever-present, as word has finally come that the first step to re-attaining the favor of the Gods has been completed. 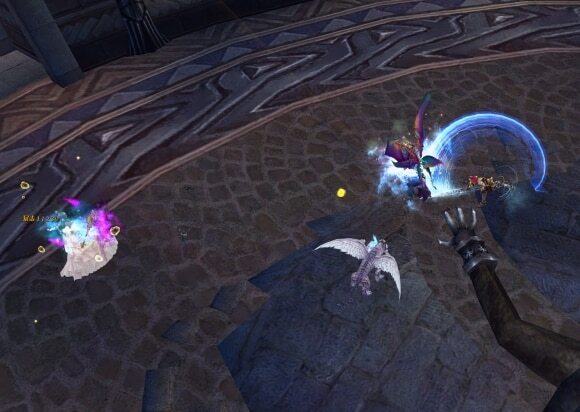 The elemental lords trapped deep beneath Freedom Harbor have finally been defeated, and the next chapter of the God's Trial can finally begin. The Gods are not yet ready to embrace Eyrda once again though, and it will take Eyrda's most powerful champions to finally return the world to how it once was. The only way for this to happen is for the very heroes that toil endlessly to push back the darkness to finally turn on each other. Two grand arenas have been constructed for just such a purpose. 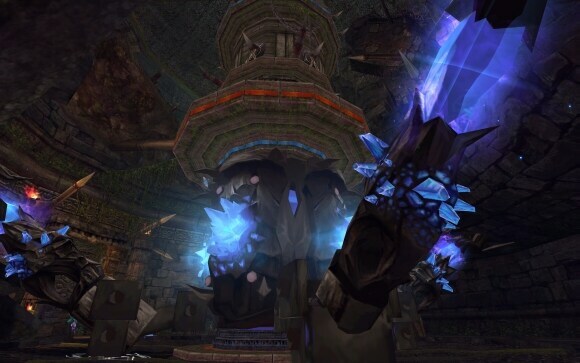 Teams of 3 or 6 champions will engage in combat with each other, and only those left standing at the end are granted victory. Fighters that can consistently prove themselves will have more than just the blood of former comrades on their blades - they'll also have the favor of the Gods themselves. Such favor cannot be taken lightly, as access to incredibly powerful equipment, mounts, and more are available to the teams that perform the best. Cast aside any notion of friendship or family - you can and will have to turn against your own people if you desire the return of the Gods to Eyrda. The battle for supremacy begins now. 3v3 and 6v6 team deathmatch battles. PvP rankings that update with every win or loss. Rank yourself amongst the entire game population! Rewards for winning battles - these include blue and purple quality weapons, armor, and even jewelry. 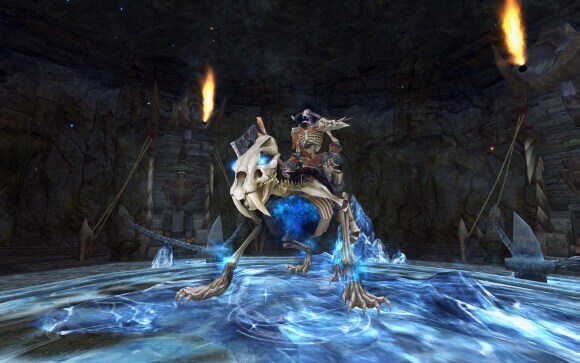 Exclusive mounts and fashion items! With the construction of the arenas, the five races of Eyrda have begun their training in earnest. It was quickly discovered though that the Kalaires Plain, as well as Freedom Harbor itself, were quite overcrowded with all manner of warriors practicing their trades. It was quickly decided by Hugh Sutherland that a training camp be set up in a nearby mountain valley, where the five races could have more breathing room. 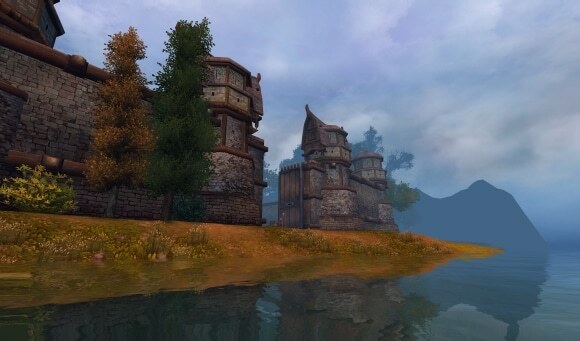 New training areas for the three different factions - no more lag fests in Freedom harbor! Group hunting activities in the wilderness sections of the Training Grounds. Fully self sufficient map - merchants, auctioneers, healers, and more. Despite the seemingly endless cycle of bloodshed, savagery, and brutality surrounding all aspects of life in Eyrda, a ray of light has at last begun to shine through the overcast skies. Marriage in Eyrda has always been a rare occurrence, oftentimes shunned in favor of more pressing matters. However, love is a powerful force - and oftentimes works its way into the cracks in even the heaviest armor. Even the mighty Stonemen - the protectors of Eyrda - have been known to marry. 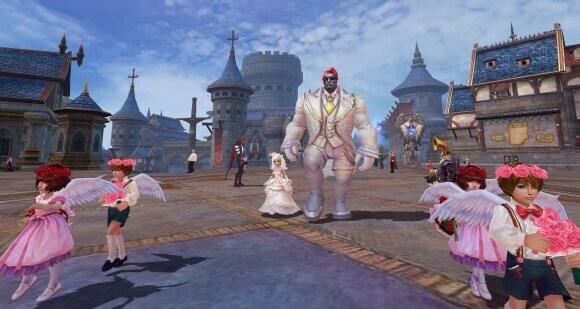 As festivals and the like are such a rare thing in a world dominated by war, each marriage in Freedom Harbor is celebrated with a grand ceremony that can be witnessed by all. 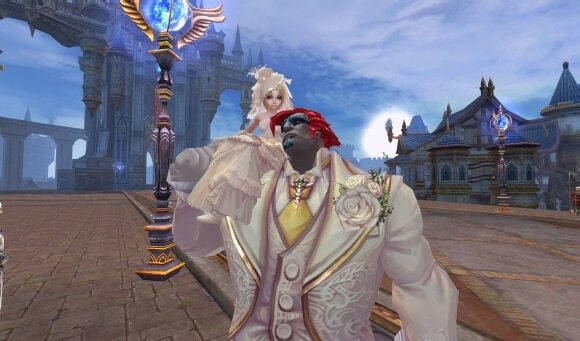 By walking the aisle all the way from the main gates of Freedom Harbor to the picturesque Blossom Boulevard, the husband and wife are escorted by flower bearers and are flanked by various townsfolk that have arrived to wish them well. At the end of the aisle, Hugh Sutherland completes the ritual by sealing the marriage officially. 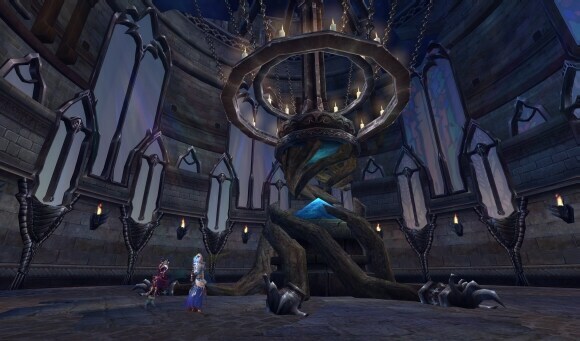 Honeymoon locations are fairly limited in Eyrda, but such is life in one of the darkest times of Eyrdan history. Flashy ceremony in the middle of Freedom Harbor - can be viewed by any and all! Exclusive titles that show who you're married to. One must never forget that ultimately, the omnipresent threats inhabiting Eyrda can never be ignored. To turn ones' back, even for a second, will see you cut down by any number of foes lurking in the darkness. With Larex corrupting the Sleeping Forest, and the fact that the Gods are impatiently waiting for a champion to arise from the five races, there is absolutely no time to waste in getting to work. 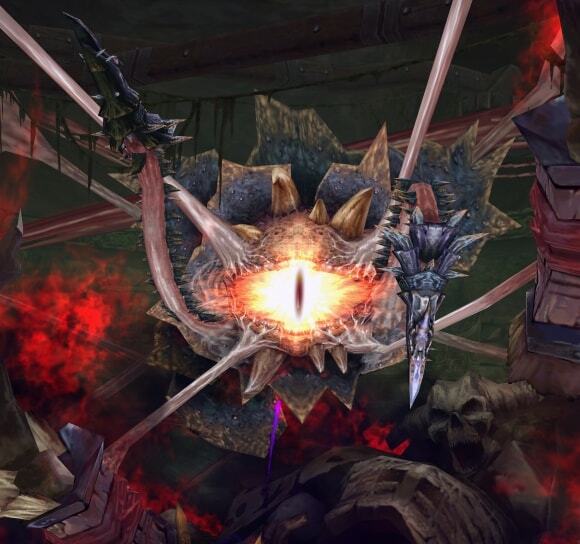 Continue your journey at once - in Forsaken World's first ever content update: The Gaze of Larex. Coming soon.